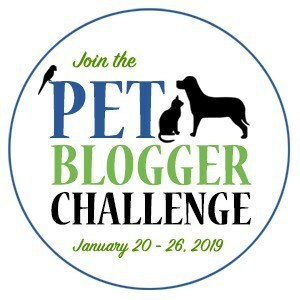 It's time for the Annual Pet Blogger Challenge, hosted by GoPetFriendly.com. This year marks the 9th annual challenge. I always enjoy reflecting on the past year and seeing what I can do to improve the blog. I hope you enjoy reading my answers. For those who may be visiting your blog for the first time, how long have you been blogging and what is your main topic? It’s hard to believe, but I’ve been blogging for four years now. Time sure does fly. My main topic, of course, is cats. But the main focus of the blog is what I have in my timeline: Advocacy, Education, and Entertainment. We want cats to be able to live the best life possible with their pet parents. What was your proudest blogging moment of 2018? My proudest moment was being chosen as an Ambassador for the BlogPaws conference, and being a finalist in two categories. I had been working hard the previous year to be recognized, and my hard work paid off. I also won a Certificate of Excellence in the Cat Writers' Association communications contest. Another moment I’m proud of is partnering with Helen Woodward Animal Center to co-host their first ever blog hop for Remember Me Thursday. What was the biggest blogging challenge you faced in 2018, and how did/will you tackle it? My biggest challenge was posting consistently. Life was very busy in 2018, which prevented me from writing about many topics I had in mind. I did manage to post at least once weekly to at least keep the blog active. Oh, this is a hard one. The post I wrote about the Paws to Read program at Tabby’s Place is definitely one of my favorites. I had such a good time watching the kids read to the cats and watch some amazing bonding happen. I also enjoyed writing this post on cruelty free products. Supporting cruelty-free brands is important to me and I like to encourage others to do the same. Which of your 2018 posts was most popular with your audience? Why do you think it does so well? 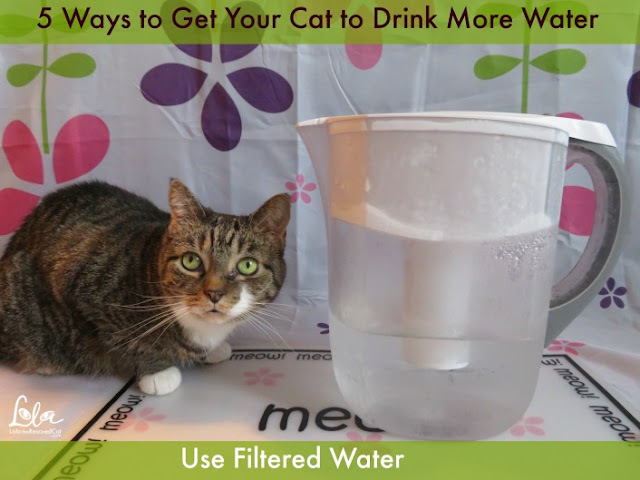 The top post of 2018 was Five Ways to Get Your Cat to Drink More Water. I think it did well because it was educational and informative. And it also included a giveaway for a popular product. Did you implement a new series, feature, or practice on your blog in 2018 that you’re enjoying? In 2018 I launched my new series, Lola on the Road. 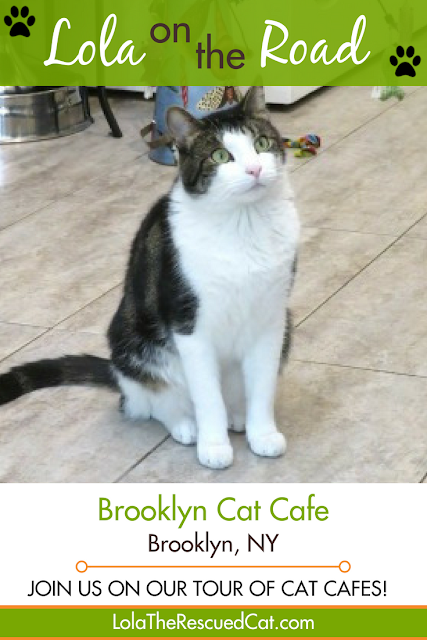 I visit cat cafes around the country and write about them. I’m having such a good time meeting so many cat lovers and wonderful people who do wonderful things for cats. As the social media landscape changes, how are you promoting your blog posts and connecting with new readers? This is something I need to improve upon. I do promote each post on Twitter and Pinterest, and try to get Instagram in as well. My challenge with his is that it’s time consuming to make a particular graphic for each platform. Looking forward to 2019, if you accomplish only one thing through your blog, what do you hope it is? I’d like to continue to make connections with brands and do more sponsored posts. And of course, continue to write about animal rescue and advocacy. I'd also like to figure out how to grow my audience. What steps are you planning to take to ensure you reach your goal? I’m attending Global Pet Expo this year to meet brands. My Lola on the Road series will continue, and I’ll try to visit as many shelters as possible. Now it’s your turn! How can we help? Is there an area where you could use some advice, or an aspect of your blog that you’d like input on? Share it here, and we’ll answer you in comments!What would you like to see more of on the blog in 2019? What are some of the posts you've liked the best? I think you've done some really awesome things in the past year! And I bet it will get even better. Besides posts with Lola and Lexy (which we luv), we really liked the cat cafe series. You sure had a great year, that just shows your dedication to all things feline! You have done so much, and been to so many places, too. I can't wait to see what you get up to, next year. Sounds like you had a great year and there's more great things to come. You seem really focused on your next steps, and it seems like the challenge is a nice easy way to look back and help you look forward. I love that Lola on the Road will be continuing! I think it's a great series and always look forward to reading about your experiences with the cafes. Can't wait to see what 2019 has in store for the blog! Sounds like you had a great 2018. My struggles with blogging last year were very similar to yours. Posting consistently when you have a life outside of blogging can be hard for sure. That's something I also struggled with last year, but am hoping to improve upon. Best wishes for an awesome 2019! We're proud to call you all our friends. You've worked hard and it seems to be paying off! Lola on the road sounds like such a great series. Traveling with a pet is so much fun. Maybe we'll run into you and Lola on the road. Sounds like your year was purrfect. Concats on those awards and the new series. At last a cat blog! I have enjoyed reading your posts and loved the cat reading one. Doing one post a week consistently works as well as blogging every day (insane). It is always so much fun to read what you girls are up to! Have a great 2019 and we look forward to reading EVERYTHING!!! we stepped away mostly this year. Blog fatigue I think after 9 years. You've obviously had an fabulous year!! well done. Congrats on your awards. Well deserved. I love the cat cafe series. Maybe we'll cross on the road someday. I love the look of your blog too. 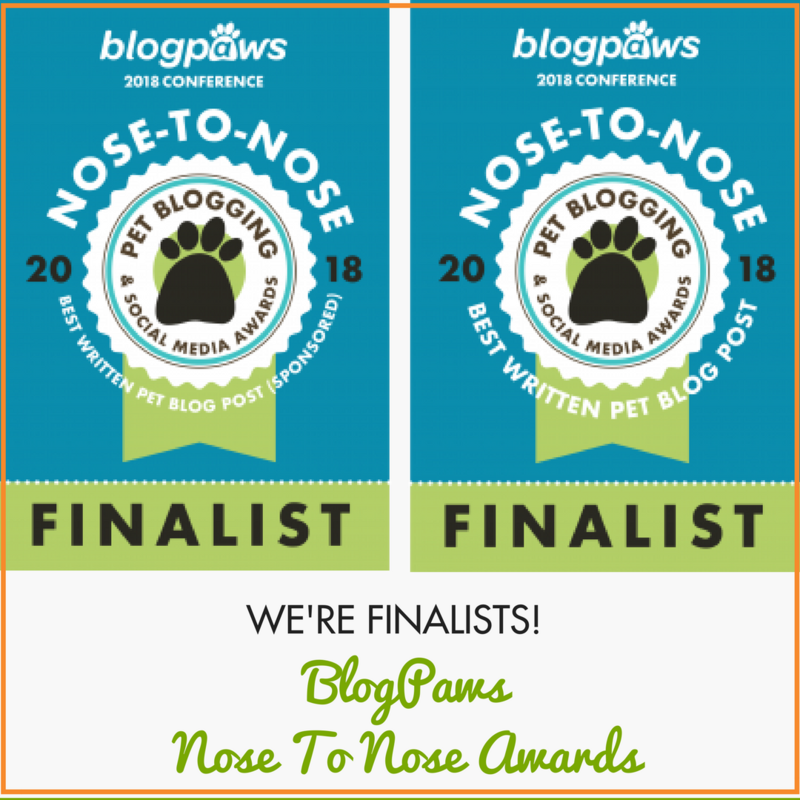 Congrats on being chosen as an Ambassador for the BlogPaws conference! Also, kudos for earning a Certificate of Excellence in the Cat Writers' Association communications contest. Those are major accomplishments. 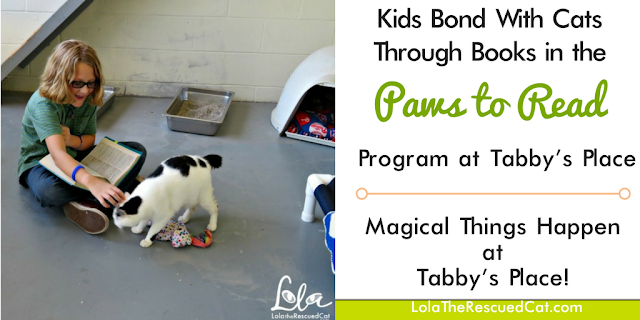 Thanks for writing about the Read to a Cat program. My youngest cat and I are a cat therapy team. We're looking forward to attending our first Read to a Pet program this spring. I'll be sharing this post. Your post on cruelty-free products was also great! Would you be interested in writing on this topic for my blog readers? I'd be happy to write a post in exchange. Are you part of KCC Adventure Cats? I know they'd love to read more about Lola's road trips. Oh, I'd love to hear about Global Pet Expo - sounds great! Congratulations on the Certificate of Excellence in the Cat Writers' Association communications contest - that's absolutely fantastic! You have had a great year! Congrats! Can't wait to hear how you like Global. I hope to go one of these years! I am off to read your cruelty free brands post. I think I missed that one and it is very important to me, too. Congratulations on all of your 2018 success. I hate that I missed what turned out to be the last BlogPaws conference. I loved the year I was an ambassador. So many wonderful pet people in one place was magical! Continued success in 2019. I absolutely agree with life being too busy. For me, so buse I managed to miss the challenge this year. It's an Internet cafe not a cat cafe (Lola couldn't come inside), but you'd be welcome at the cafe where I post. Wow, you accomplished a great deal in 2018! Congratulations on all that you achieved! I have really enjoyed your Lola On The Road series. 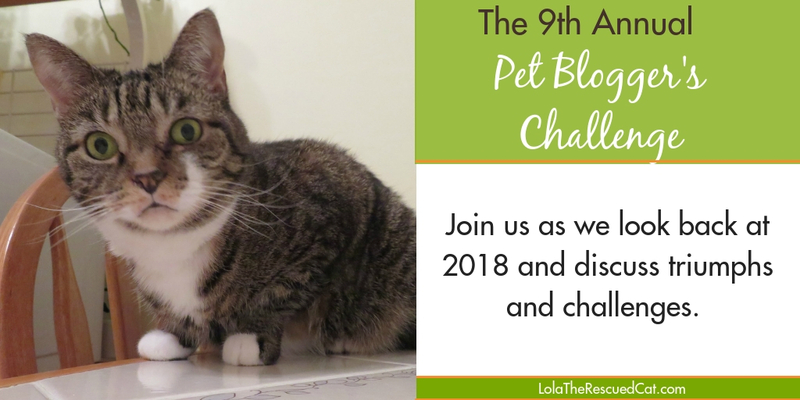 I was not able to participate in the challenge this year, but enjoyed reading your post and accomplishments! Congrats, and here is to a great 2019! It sounds like 2018 was a great year for you, and that you're getting 2019 off on the right foot. Going to Global is a great way to expand your network. Be sure to connect with the PR folks - they're often the best facilitators when you want to work with a brand. I also want to add that your blog design is great. It's so clean and easy to read. After working my way through the hop list, this is a joy for my eyes. Thanks for joining the Challenge, and have a great year! I've been so impressed with the changes you've made the last two years. I've learned things to implement in my blog based on some things you've done. I'm sure you will make some wonderful connections at Global Pet Expo. Thank you for your comment! We love meowing with you! Hi, I'm Lola! I went from dumpster kitty to princess and now I'm living the good life. I'm passionate about rescue and animal welfare and giving all animals the best life they deserve. I'm also an author! You can buy a copy of my book below. © Copyright Lola The Rescued Cat 2014-2018, unless otherwise credited. All Rights Reserved. Content. Powered by Blogger.